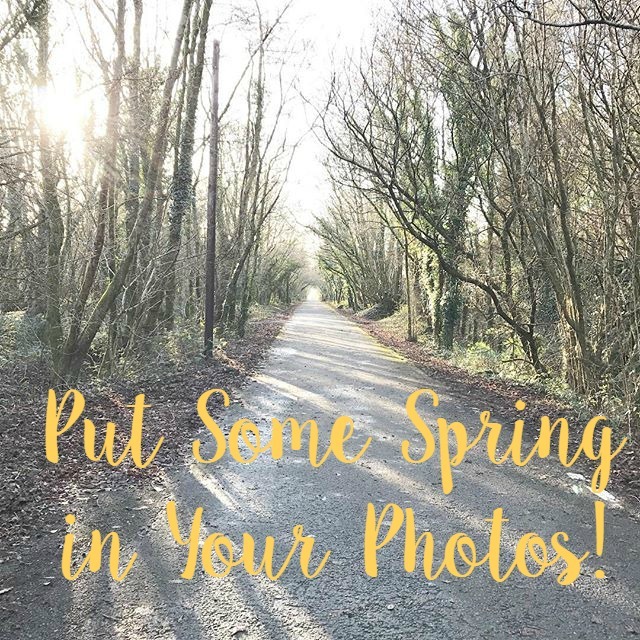 Put Some Spring in Your Photos! There’s something amazing about spring – so full of hope for another year of fertility and growth – but this magic doesn’t last long so it’s vital to get out there and capture it before it’s gone. If you can manage a few stunning spring shots you can immortalise that magic in some beautiful canvas prints using Hello Canvas! If you need a bit of help to capture the essence of spring, here are some tips to guide you along. As we all know, spring is famous for its showers and even if it’s not raining, there’s dew and mist. A waterproof picnic blanket will let you kneel, crouch and even lie down to capture those special shots without getting soaked through. Spring is all about colour – green grass and daffodils – but occasionally the vibrancy of the colours can be dulled by atmospheric haze or light pollution causing glare. A polariser will get rid of polarised light and so it’ll reduce unwanted reflection and glare, bringing a natural saturation of colour. Your digital camera should have one built in. Usually, clouds are the photographer’s enemy, but if you’re shooting in woodland they work better for you as they keep the contrast to a reasonable level. This means you can get the right colours, especially if you use a polariser. Dappled light might look good to the human eye, but your camera can’t quite make sense of it. Going in up close with a wide-angle lens just captures the gaps between the flowers, whereas using long lenses from further back compresses the flowers in together, making them look as if they’re a dense carpet of blooms! If the sunlight is quite bright, it can lead to too much contrast so a reflector can bounce some softer, diffused light onto your subject from the opposite direction to the sun. Use a soft white or light grey reflector for this, as a silver one will be too harsh. Spring can be quite windy, so if you have a windbreak that you usually take to the beach for your summer holidays, press it into service a bit earlier and use it to protect delicate flowers from sudden breezes. If you’re shooting a flower up close, even a tiny movement will destroy the shot, so don’t take the risk. As in autumn, mist is very common in spring, especially near water bodies as cold and warm air meet. Photos taken in misty weather can be amazing – atmospheric, ethereal, maybe even a bit spooky – but it’s a tricky project. You need to find the edge of the bank of mist and photograph from there; you also need to use the low early morning light to offer a bit of contrast. This mist won’t hang around, so you’ll need a pair of wellingtons and waterproofs and a fast shutter speed. Extraordinary thought. You can build up all these thought through more imaginative way. Have you found out about creative written work tips? There are some extraordinary sorts of composing system, for example, style, outline, and organization. In the event that you incorporate every one of these styles you can make your blog all the more alluringly.